Why chose Declan Noonan & Associates as your BER assessors? If you need a BER Certificate for your house, then you are either building, selling or renting this property. This means that you will have additional requirements, for example surveying, mapping, fire safety certificates, or a whole host of other services. Unlike other BER assessors, we are skilled and experienced in all aspects of the construction industry.We have a Chartered Engineer, a Structural Engineer, a Chartered Environmentalist, a qualified Passive House Designer and a Chartered Builder on our team. Reduce your time spent on site and the hassle involved in organising multiple service providers, by appointing Declan Noonan & Associates as your BER Assessor. Whether you need advice on an extension that you would like to build, some home improvements you want to make, or you have a boundary, planning or septic tank issue; make sure you benefit and get a professional opinion while we are on site. Take advantage of our our extensive architectural and engineering knowledge while we are on site completing the assessment by getting a professional opinion and get true value for your money. We can then provide these additional services to you at a reduced cost. We will be visiting your premises to undertake the BER, so any additional service we can offer will have the cost of the site visit deducted. Thus, saving you time, money and hassle. Futhermore, we can work with you to suggest and implement cost-effective changes which will increase your BER rating. This will save you money because you won’t have to pay for a second BER assessment after the changes have been carried out. It will also save you from stress, as we will be able to tell you an approximate BER rating. This allows you to decide whether our recommended cost-effective changes are worth carrying out. Our pricing is reasonable and declared up front so you know exactly where you stand. We pride ourselves on our speed of service, so a quick turnaround is guaranteed. It covers energy use for space heating, water heating, ventilation and lighting calculated on the basis of standard occupancy. 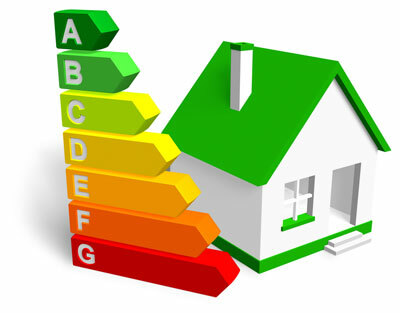 A Building Energy Rating (BER) is similar to the energy label for a household electrical applianc e like your fridge. The label has a scale of A to G. A-rated homes are the most energy efficient and will tend to have the lowest energy bills. On 1st January 2009, a BER Certificate became compulsory for all homes being sold or offered for rent. If you are buying or renting a house or apartment, you are entitled to a BER so ask the seller, the landlord or the agent for it. A Building Energy Rating (BER) is also required, subject to transitional arrangements, where construction of a new home begins on or after 1st January 2007. There are exemptions for certain categories of homes, for example, protected structures and certain temporary homes. A new home, i.e. one that has never been sold or occupied, is exempt from the BER requirement if the planning application was submitted on or before the 31st December 2006 and if it was substantially completed, i.e. the external walls have been erected, by 30th June 2008. A BER is compulsory for all homes offered for sale or rent. A BER is also required before a new home is occupied for the first time. There are exemptions for certain categories of homes, for example, protected structures. Advertisements must include BER details when a home is offered for sale or rent. Who can do a BER Assessment? Only those who are qualified by the SEAI can carry out a BER Assessment. Declan Noonan & Associates are registered Domestic BER Assessors who have been trained under the National Framework of Qualifications, passed the SEAI BER Assessor exam and have registered with SEAI. What the Homeowner can expect from a Building Energy Rating (BER) assessment?Once you have appointed us as your BER assessor we will make an appointment to visit your home. When we arrive we will conduct a non intrusive survey. A Building Energy Rating (BER) assessment will typically take a couple of hours to complete, depending of the size of the home and the complexity. We will need to have access to all the rooms of your house. During the survey we will measure the area of the rooms, measure the windows, the thickness of the walls, the levels of insulation, the heating system, the number of flues, the floor types and the wall types. We typically collect 80 pieces of data which describe your home, which are then entered into the BER software tool, to generate the BER Certificate and Report. How the Homeowner can prepare for the BER assessment? We take the data we collected on the assessment visit and input the survey findings into the BER Assessment software. Once this is complete we log on to the Online SEAI National Administration System and upload the file. This will then generate the BER Certificate and Advisory Report. We will then send you a copy of the BER Certificate and the Advisory Report. We are also available to answer any questions you may have relating to the report. The SEAI maintain the register of BER Certificates. To see your BER on the National Register go to https://ndber.seai.ie/pass/ber/search.aspx and enter either the BER number or the MPRN number for your dwelling.